This week's Cider Sunday is another from Western New South Wales. 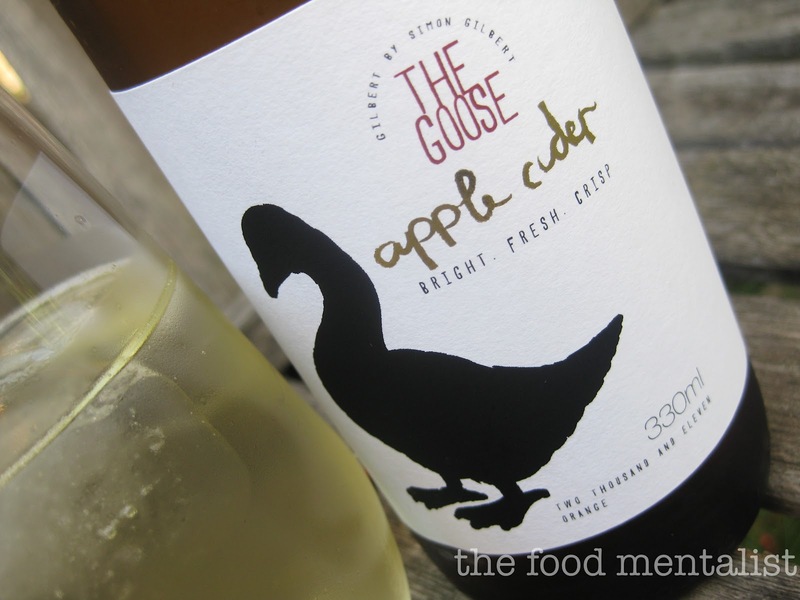 The Goose by Gilbert is relatively new to the Australian Cider market - with it's bottle labelled 2011. I as not surprised to find out after I tasted this one that it was made by winemakers. It has very little sweetness and a dry astringent finish not dissimilar to a good dry white. 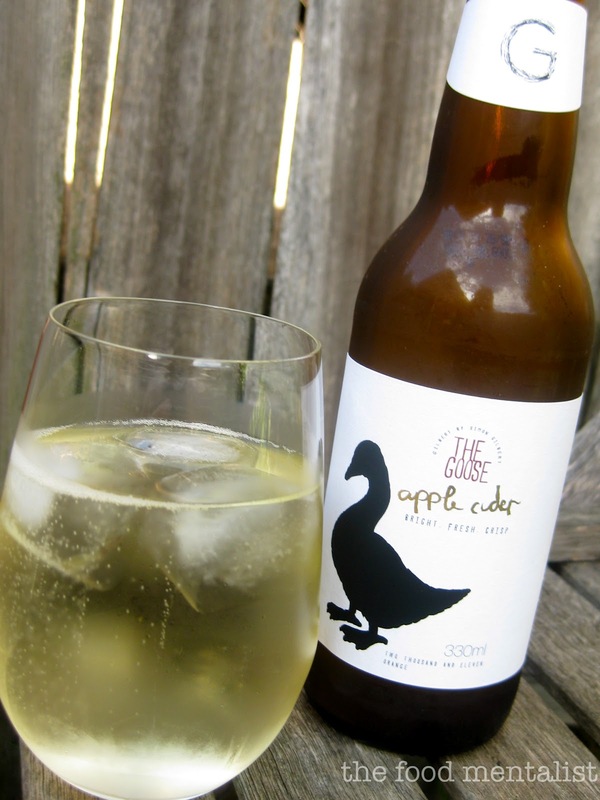 Made from a selection of handpicked cider apples like the Foxwhelp and Kingston Black with some Granny Smith and Pink Lady varieties also thrown in for good measure - this one is unique and is line with more traditional cider flavours. It is fresh and crisp and has a medium level of fine carbonation. Despite the front of it's label suggesting it is made in Orange, it is produced and bottled in Mudgee not far from Orange. Simon Gilbert is the man behind this one and he has a well respected career in wine making, brokering and consulting and has created 'gilbert' as his own personal label. Enjoy this one with white meat dishes and as a substitute for your favourite white wine - you will be impressed. You can purchase this one online direct through the Gilbert Family Wines website. I purchased it through The Oak Barrel in Sydney. We are heading out to the Addison Road Farmers Markets, what are you up to today? I think I'd really like this cider. Not crazy about very sweet ciders, but I am crazy about good dry white wine!